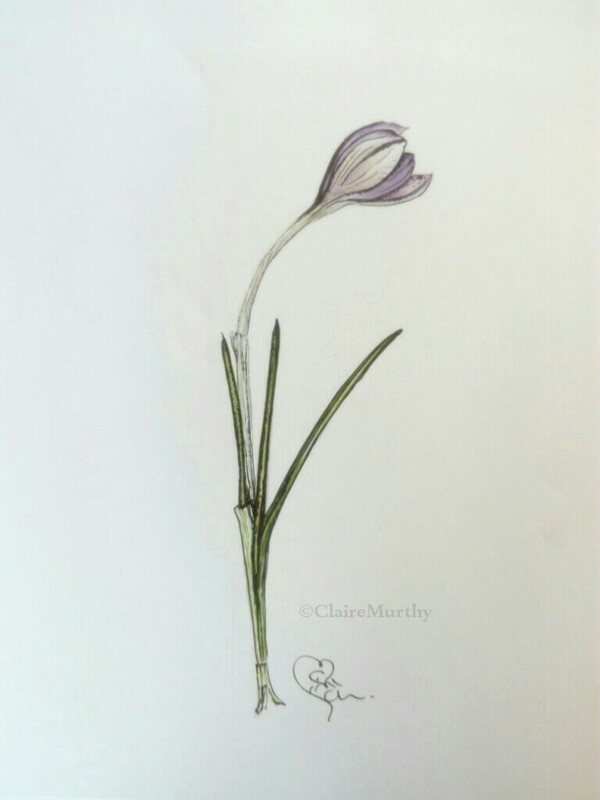 Botanical study in watercolour and ink : crocus (purple). Having painted this, the next stage might be to paint and draw further crocuses to train the eye to follow its form - quite often, a leaf or petal takes an unexpected curve and it is only by actually studying the flower that this becomes noticed. As a quick study, this makes a pretty snapshot of the flower and provides useful resource paintings for compositions.